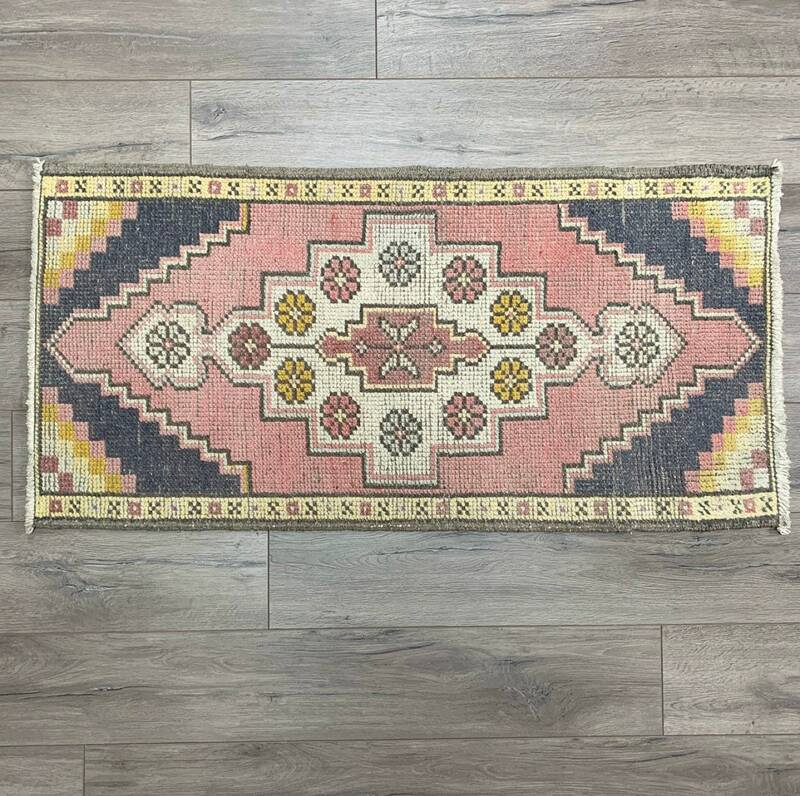 3’6” x 1’7” Low Pile. 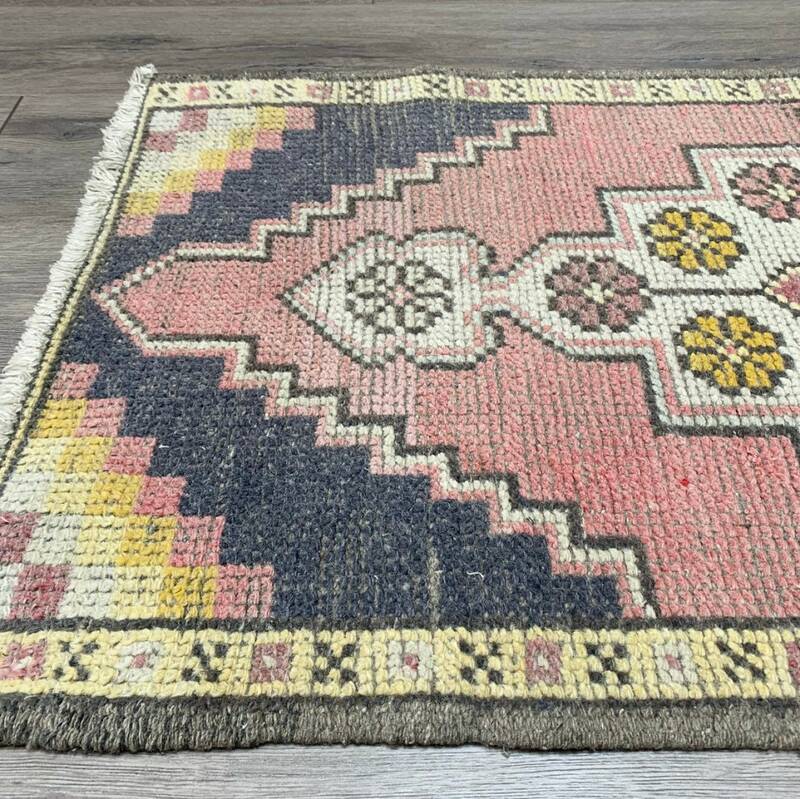 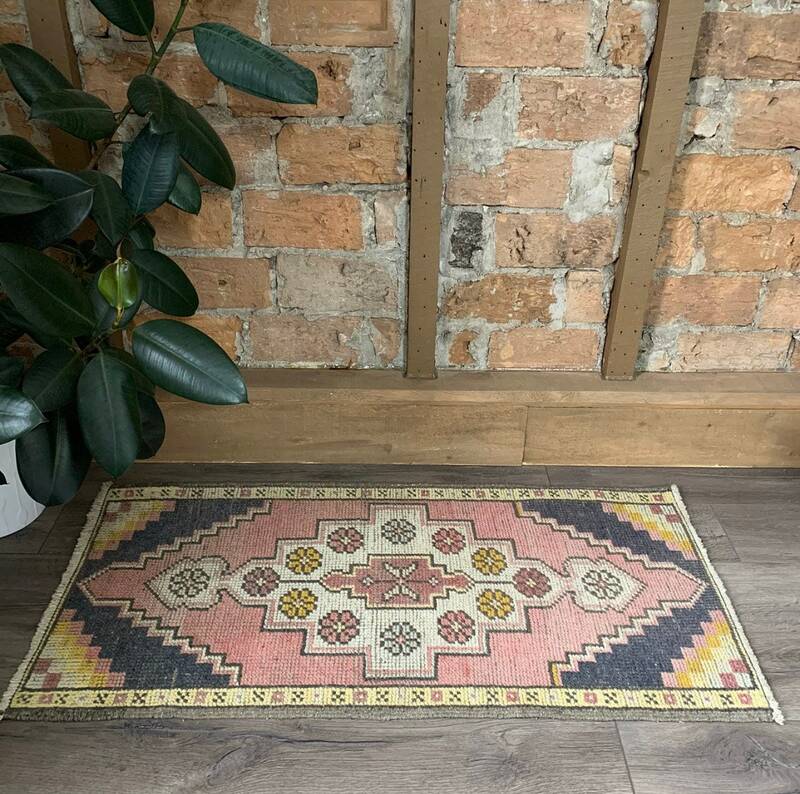 Light and bright with navy blue and the perfect blush pink with pastel details, this 1940s vintage Turkish Rug has pop! 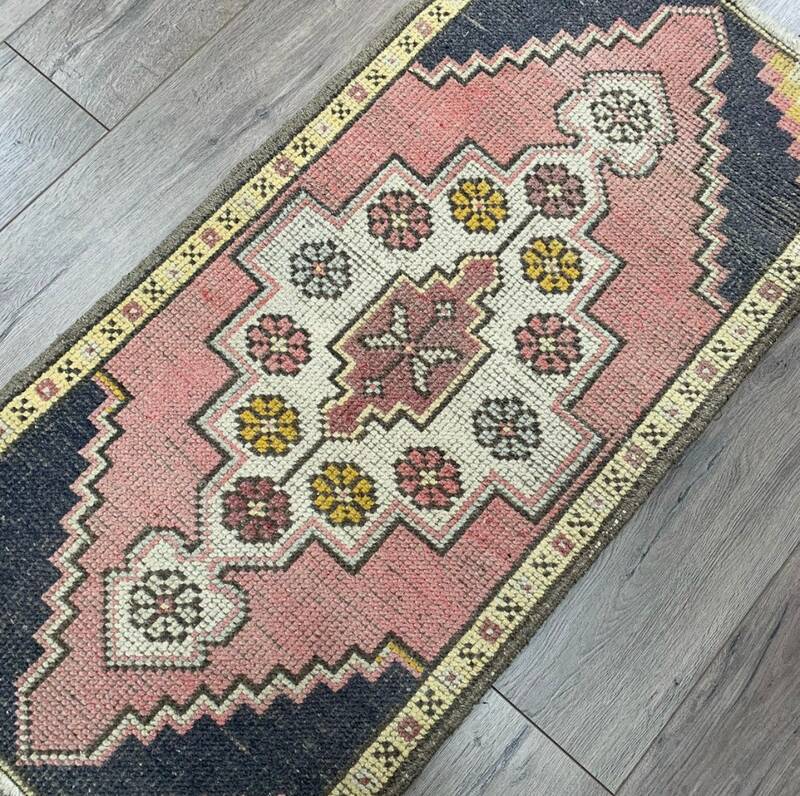 Add colour and whimsy to your kitchen, bathroom or entryway with this hand-knotted one of a kind vintage piece. 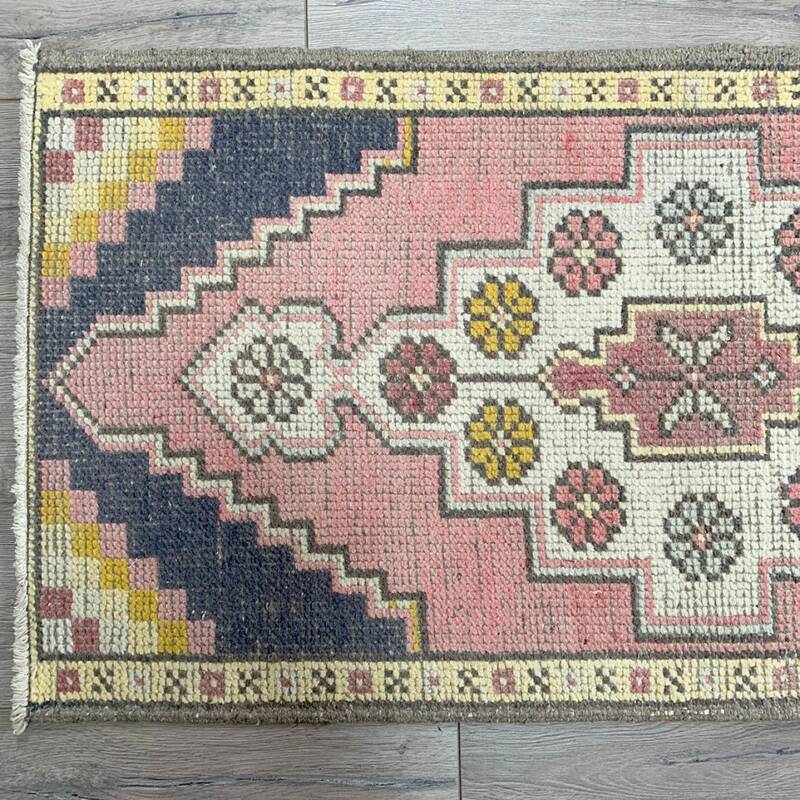 Floral and geometric details make this a good rug for contemporary or boho homes. 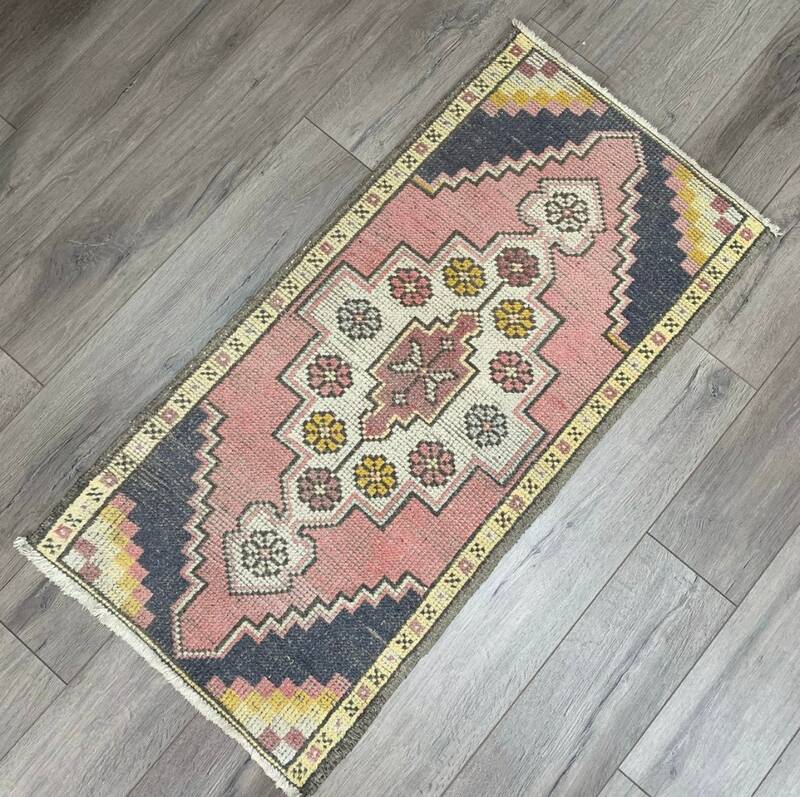 Turkish rugs are durable, and a great choice for high traffic areas and families. 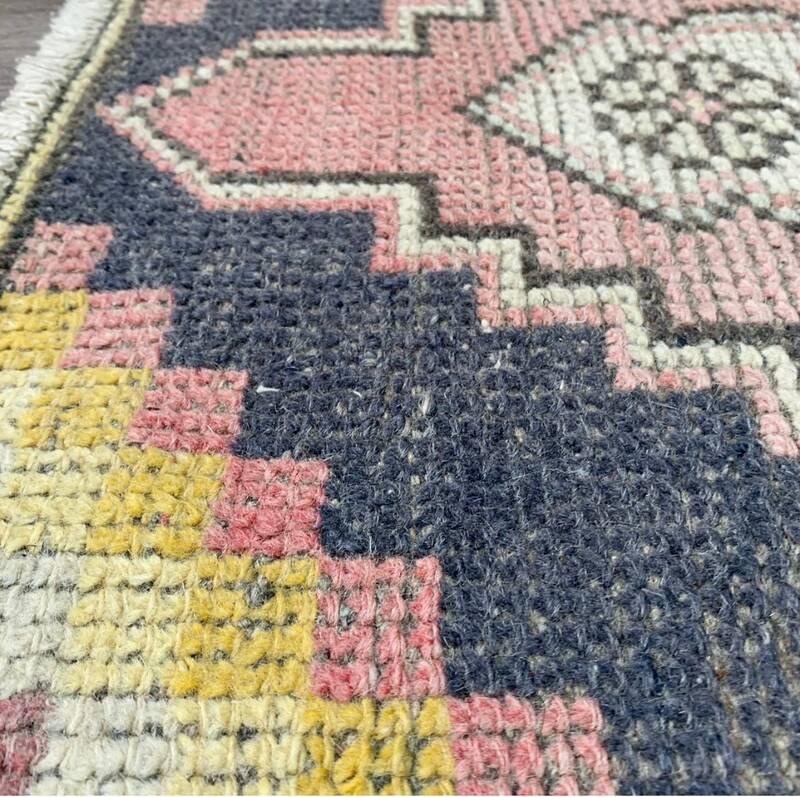 Colours: Navy with Blush Pink and pastel yellow details.